Last week we brought you a news story on a long-awaited suspension fork from DT Swiss called the F 535 One. Coming into the suspension lineup as the biggest and longest travel fork that DT has ever made, the F 535 One is designed with 35mm diameter stanchions, 130-160mm of travel and is available in both 27.5in and 29in sizes. 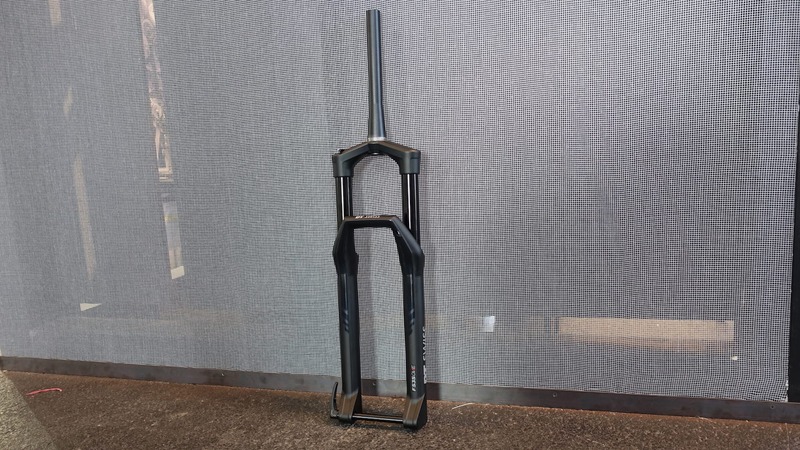 If those specs sound familiar, it ain’t no coincidence – this fork has the RockShox Pike lined up squarely in its sights. 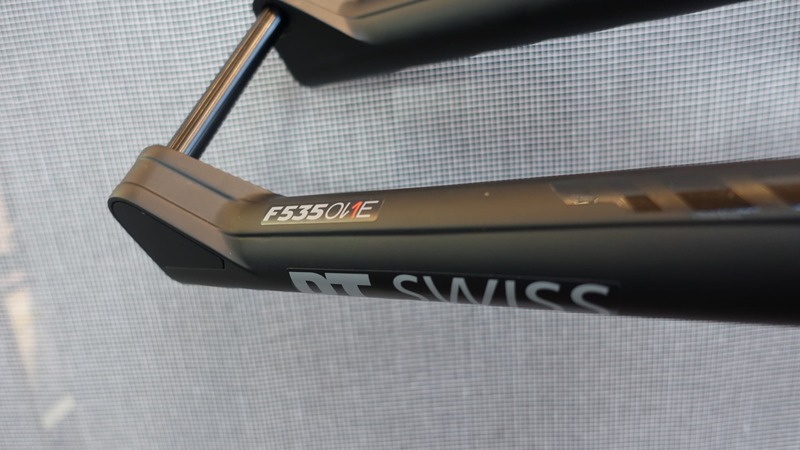 At Eurobike, DT Swiss had its new F 535 One fork and R 535 One shock on display, giving us the first chance to get up close and personal with both of them. 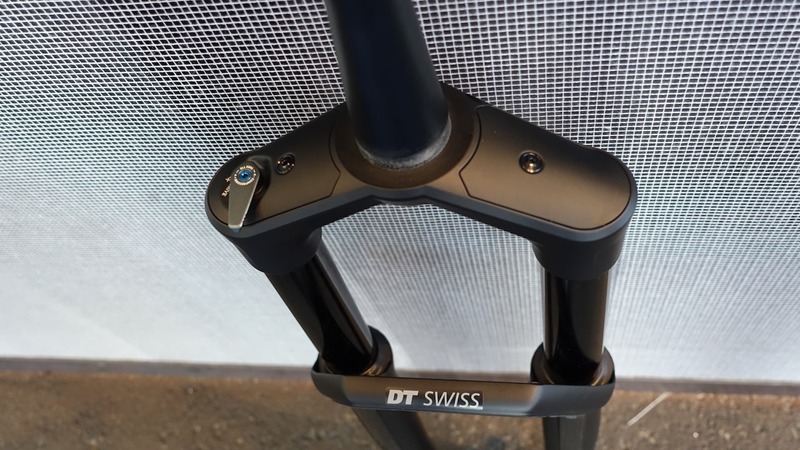 With 130-160mm of travel, 35mm diameter stanchions and a unique position sensitive damper, the F 535 One fork from DT Swiss is billed as a high performance long travel fork. 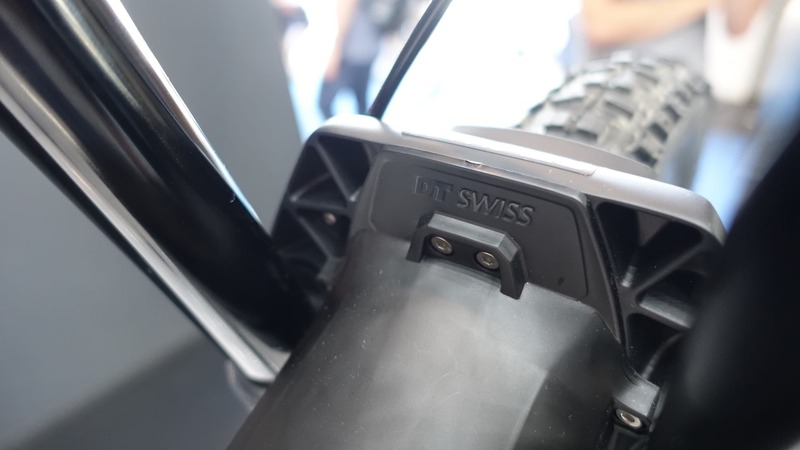 It turns out there is a boat-load of features to be found both inside and outside the new DT fork, so after going through all of those details, we took the opportunity to film a video at the DT Swiss booth to give you a closer look at what makes this fork so unique, and why DT Swiss thinks it has what it takes to knock Fox and RockShox off their respective pedestals. 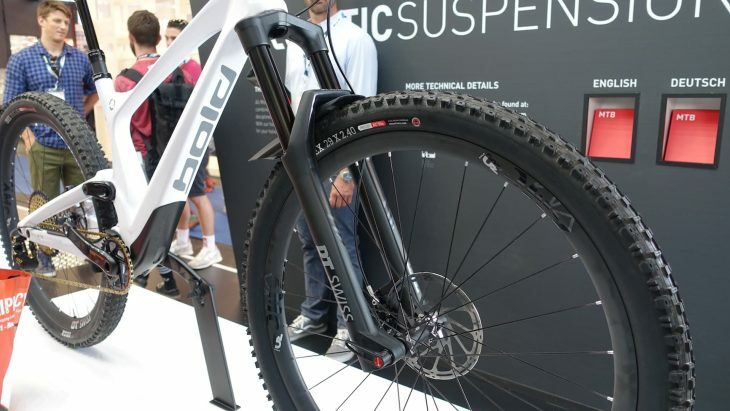 You’ll be able to get the F 535 One fork in 27.5in and 29in sizes. 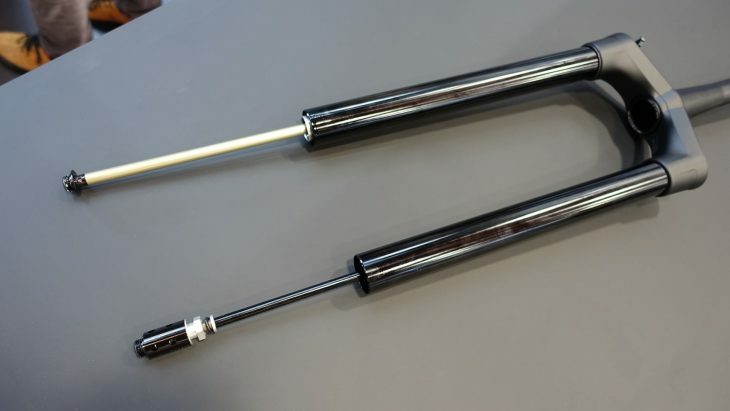 Externally, the F 535 One fork features a one-piece magnesium casting for the lowers, and gets 35mm diameter upper tubes that are hard anodized black. The dropouts are Boost only, with a neat 15mm thru-axle that features DT’s own RWS design along with an integrated tool in the handle. 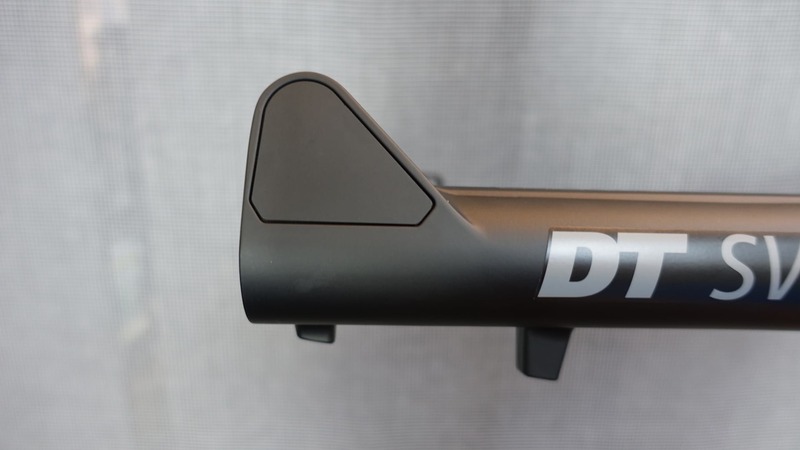 The fork has a very clean design overall, and there are loads of photos down below to show just how much detail DT has gone into to get such a stealthy finish. However, without doubt the most exciting features of the F 535 One fork are lurking beneath the hood. 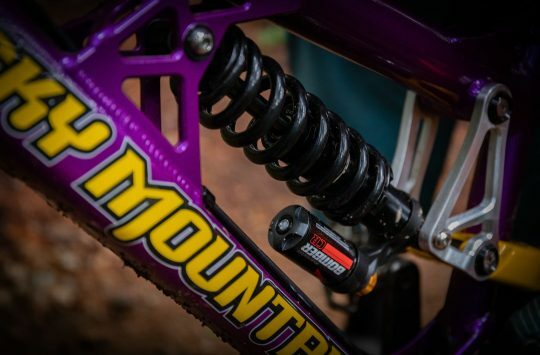 Inside the F 535 One fork you’ll find the Plushport damper and the Coilpair spring system. 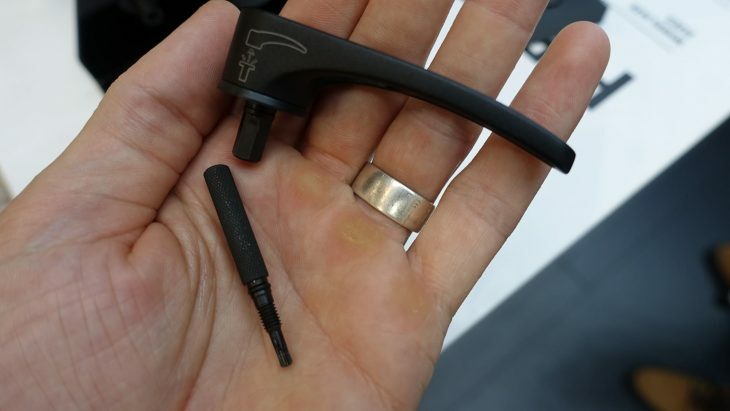 Inside the sealed damper cartridge, DT has implemented a unique compression valve called the ‘PlushPort’. 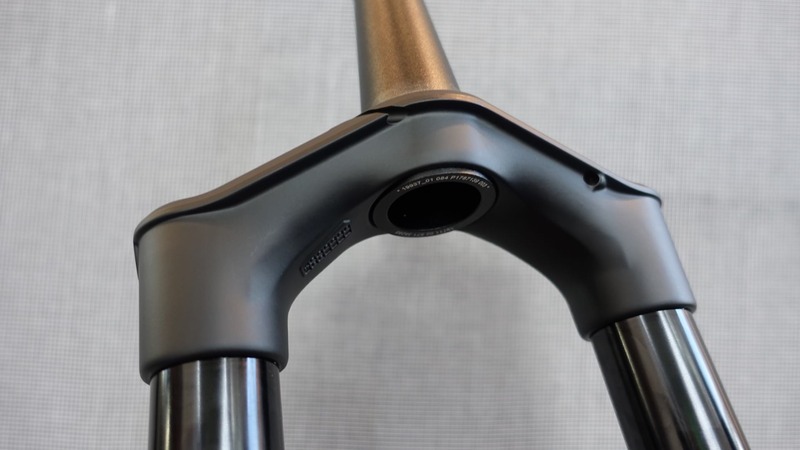 This introduces position-sensitive damping, which means the compression damping changes depending on where the fork is sitting into its travel. For the first 0-20% of the travel, the Plushport sits wide open, allowing for maximum oil flow for a smooth and open feel. Between 20-50% of the travel, the Plushport gradually closes to reduce oil flow for increased mid-stroke support. By 50% of the travel, the Plushport is entirely closed, and all the oil flow is directed through the high-speed shim stack. DT says the F 535 One takes a bit of getting used to, because it is so plush in the early part of the travel. 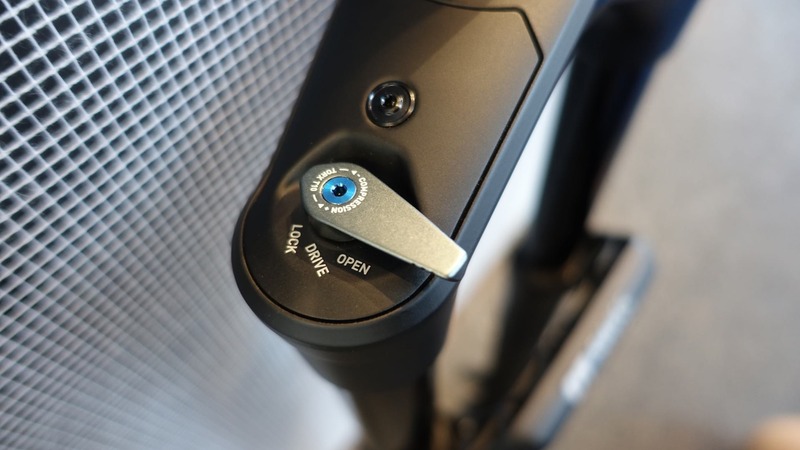 However, the rider can increase the compression damping of the fork by way of a small blue dial at the top of the fork crown. There are 10 clicks available with this adjustment, and each click manually closes the Plushport valve. At the maximum setting, the Plushport is entirely closed, meaning you’re only using the fork’s high-speed compression shim stack for the entirety of the travel. 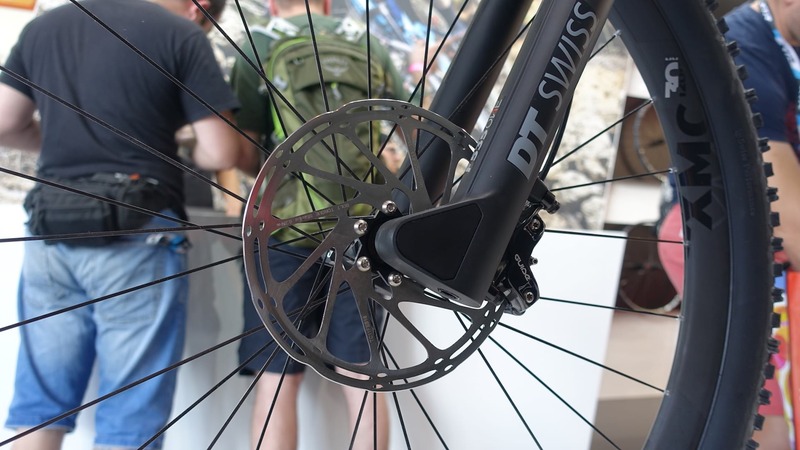 However, you’d have to want a pretty stiff fork to use that setting – DT reckons most users will leave the compression adjustment wide open. At the end of the air spring shaft is a small coil ‘helper’ spring. But wait, there’s more! For the air spring side, DT has got another interesting feature that is also designed to help smoothen out the start of the travel. The spring design itself is a dual-air arrangement. 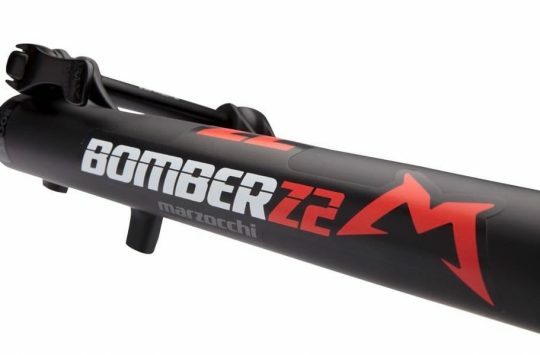 So there are positive and a negative air chambers, which self-equalise once you cycle the fork a few times after inflating the single air valve. In addition to air pressure, you can also add or remove plastic volume spacers via DT’s APT system. These spacers are included with the fork. 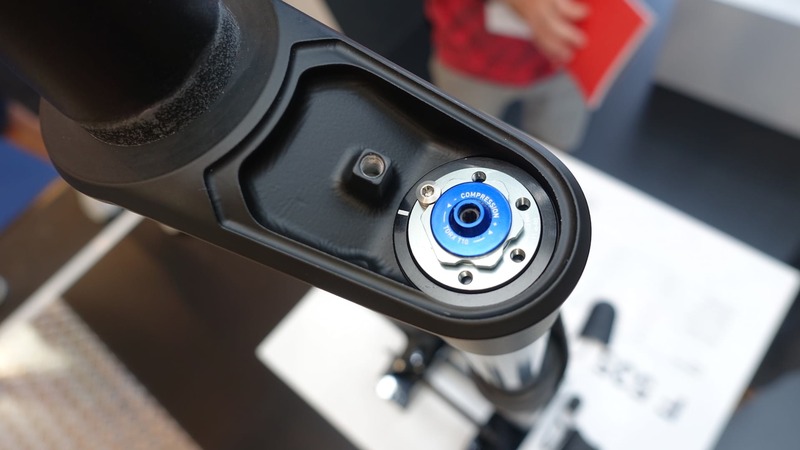 For increased small-bump sensitivity however, DT has added a small steel coil spring at the bottom of the air spring shaft. This spring only has around 8mm of travel, but its effect is noticeable. Push on the end of the rod, and you can feel how easily it starts to move. As the coil spring begins to compress, the air spring also starts to engage, so they work in tandem. However, once you go past the sag point, it’s the air spring that does all the heavy lifting for the rest of the travel. 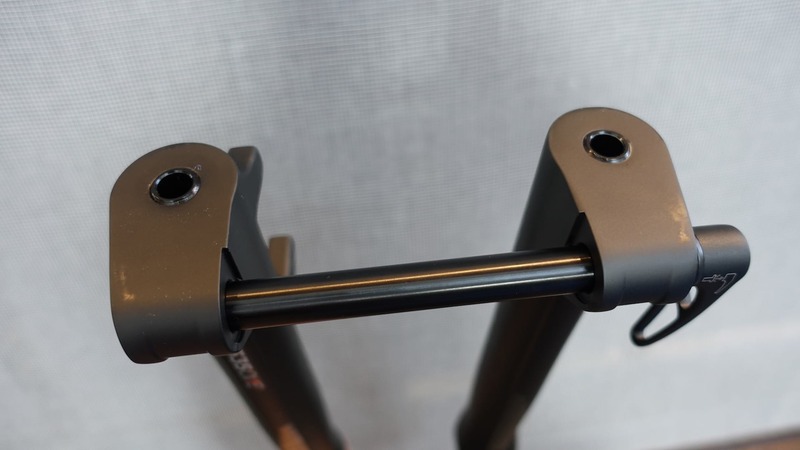 DT has designed bolt-on port covers for the fork crown to give it a very stealthy look. 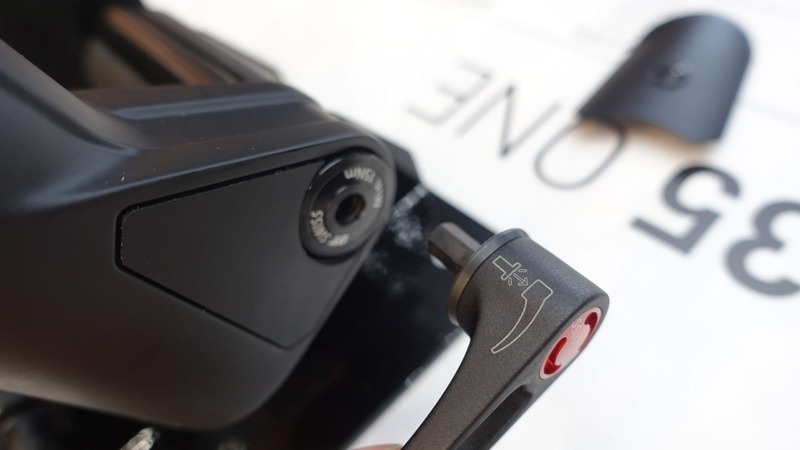 The crown has a moulded cable guide for those who choose to run the remote option for adjusting the fork’s lockout. The crown-mounted lever option provides three preset options: Open, Drive and Lock. The external shaping on the magnesium lowers gives the F 535 One fork a strong and chunky aesthetic. The underside of the fork lowers is completely flush – you’ll need to poke a little torx key into one of those holes to adjust the rebound damping, or to access the foot nuts for removing the lowers. The lines on port covers are insanely clean. The RWS thru-axle has a removable lever with a 5mm hex end. There’s also a T10 torx key that threads into the RWS lever. 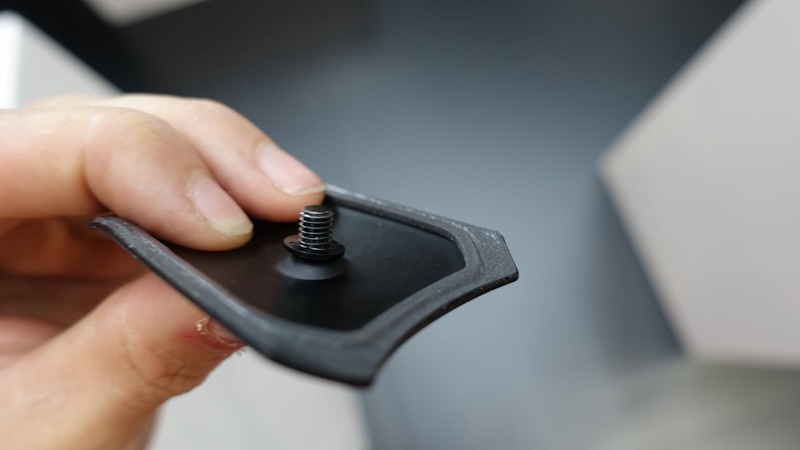 The bolt-on port covers feature captured washers on the bolts – this stops the bolt from falling out on the trail if you remove them. Underneath the top cap is the compression adjuster. 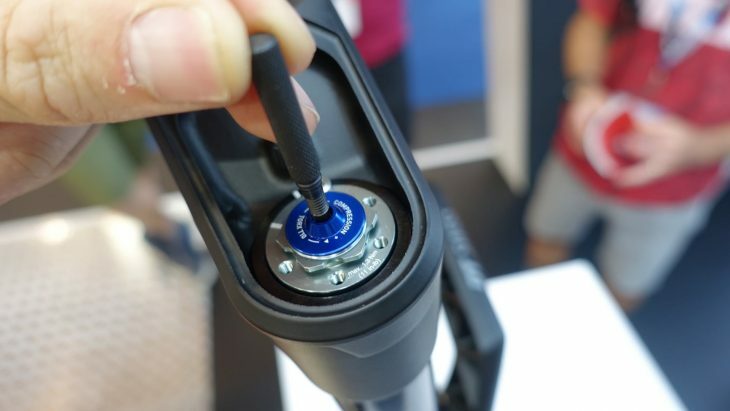 And the little T10 torx key allows you to adjust the compression damping with up to 10 clicks available. 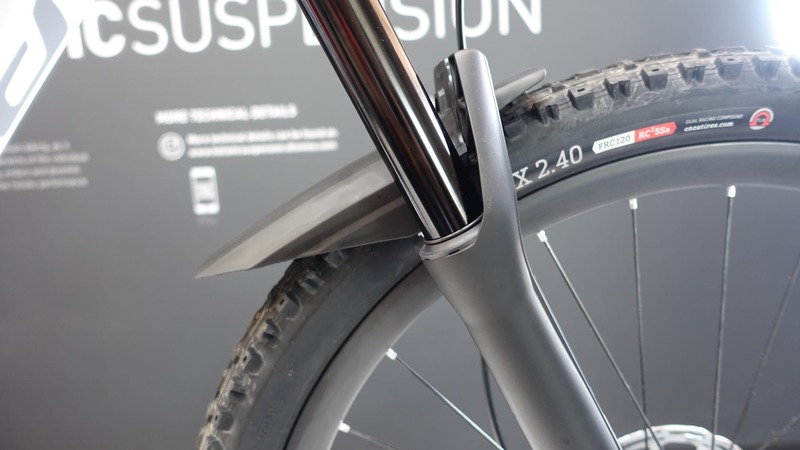 Another nice feature on the new DT fork is the bolt-on mudguard that comes with each fork as standard. Two wee bolts hold the mudguard onto the backside of the fork lowers. Another look at those clean dropouts – how nice are they? 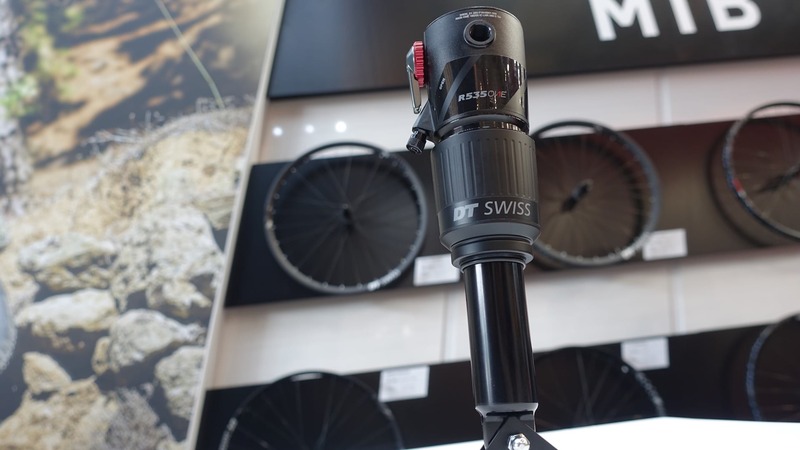 DT Swiss also has a new matching rear shock called the R 535 One. 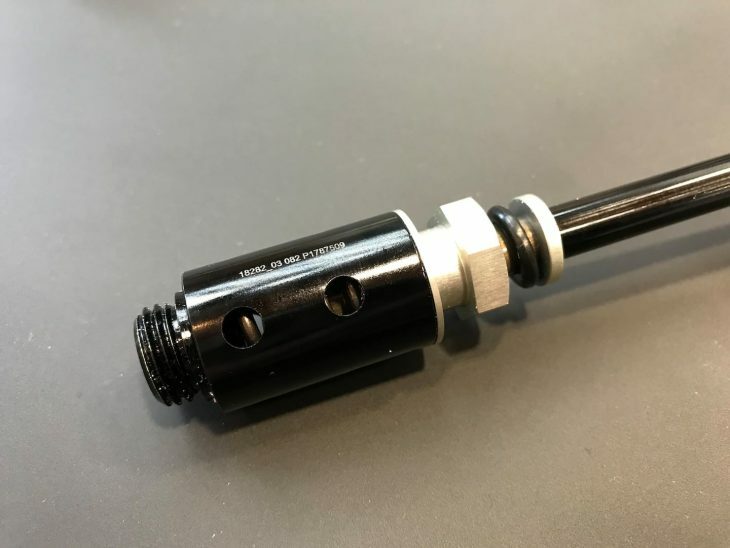 It’s basically the same internally as the R 414 shock we’ve reviewed, but this one comes in metric sizes, including this trunnion mount option. 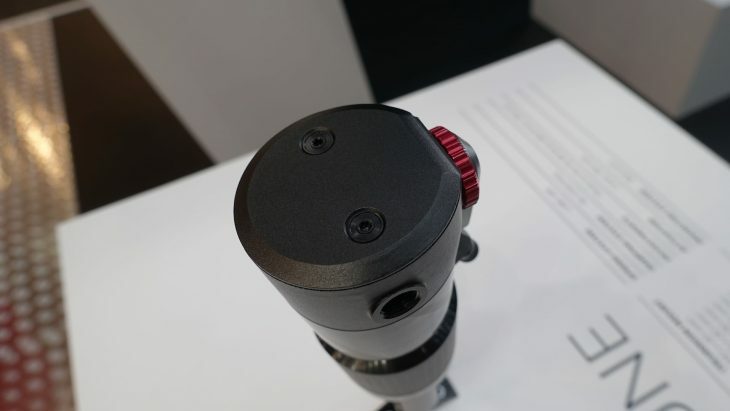 The same bolt-on port style has been used to shroud the top of the R 535 One shock. 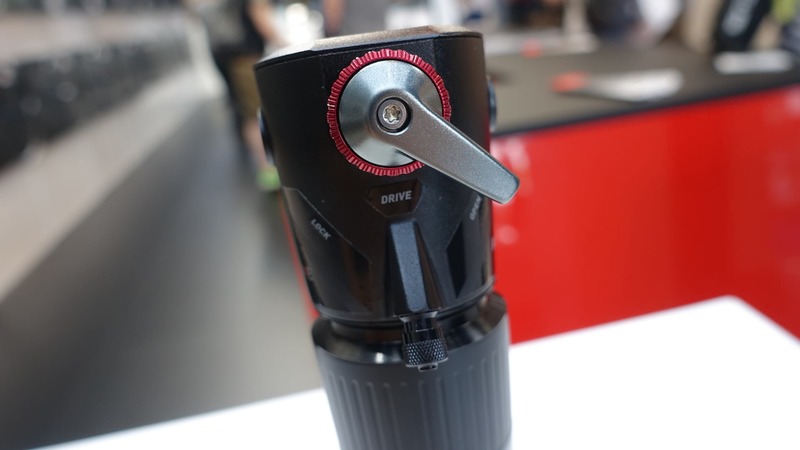 You also get the same Open-Drive-Lock compression settings, as well as the dual-air spring inside. Nice fork. Though with all those clean lines you wonder why they didn’t go a tiny wee bit further and add built in steerer storage. Boost only. That may have just lost them a sale. 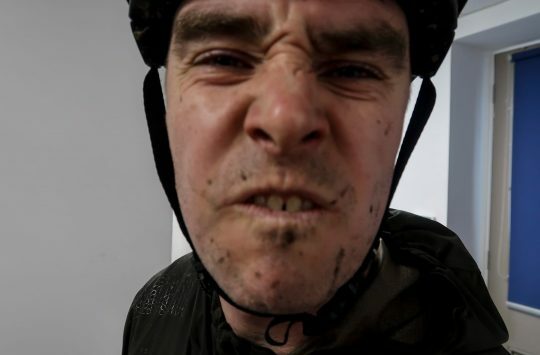 Looks like I’ll be off to the Fox shop again then, as I’m not hanging up yet another expensive wheel (alongside 26″ ers, 9mm QR, 20mm bolt thro, etc etc etc) in the garage to gather dust.